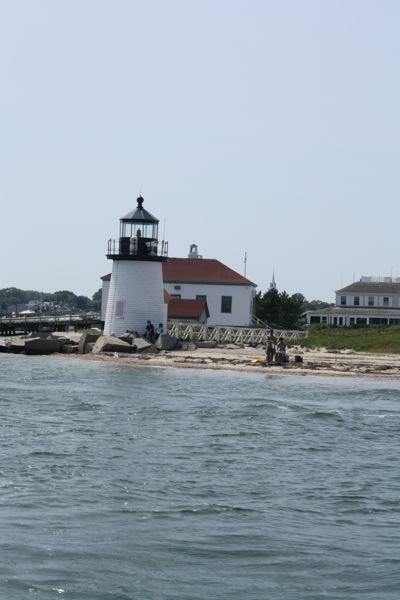 Nantucket was smooth sailing from Martha’s Vineyard. 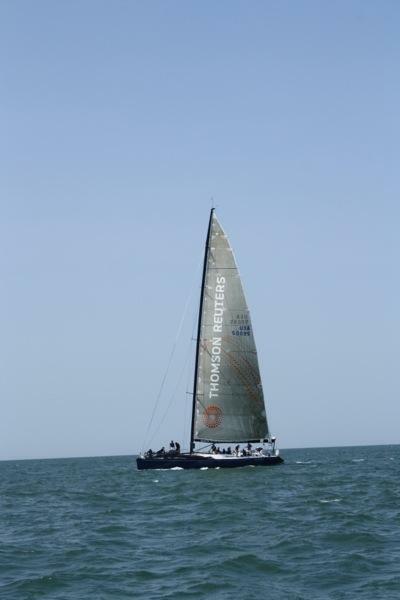 We rode the current on a downwind sail this morning. 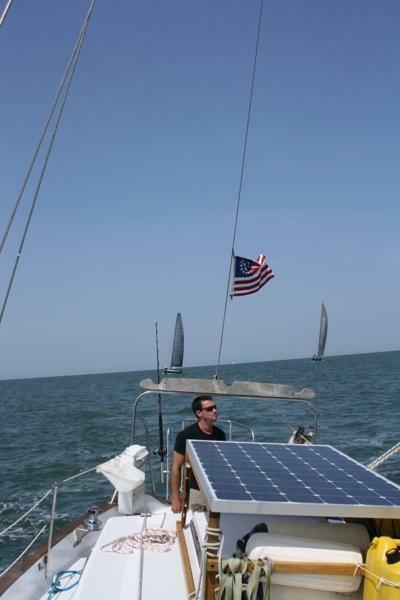 As we neared Nantucket, the wind picked-up and we were able to make a reach for the harbor. 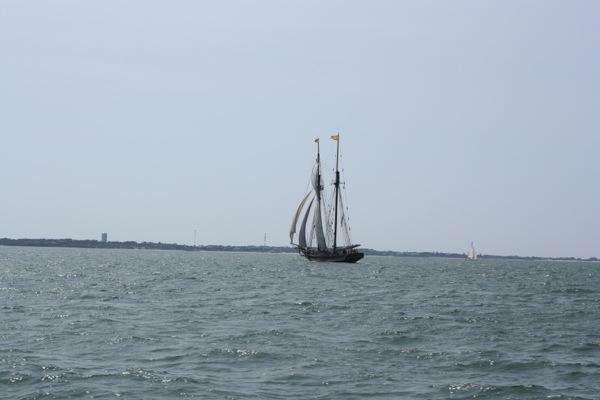 It was sunny, warm, calm seas, and there were lots of boats passing through. 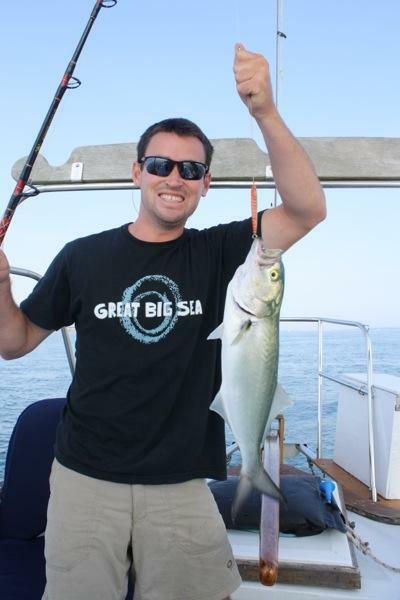 About two hours into our sail this morning, Brian caught a bluefish! 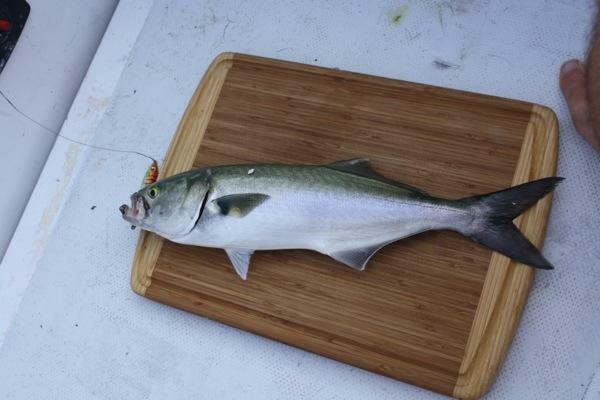 That’ll be good eats tonight – MMMM! 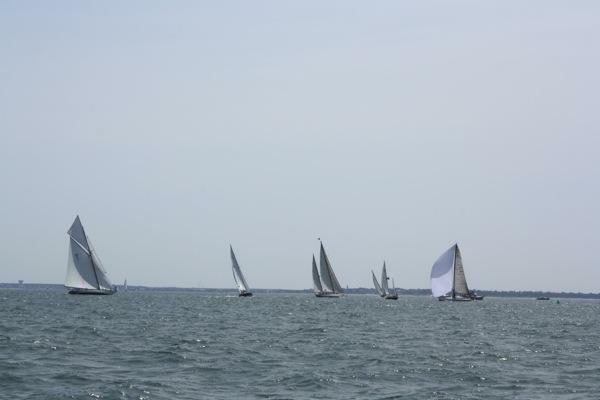 Near the entrance to Nantucket Harbor we were smack in the middle of a regatta. Brian made a run for it, but only to get Rode Trip out of the way of passing boats. 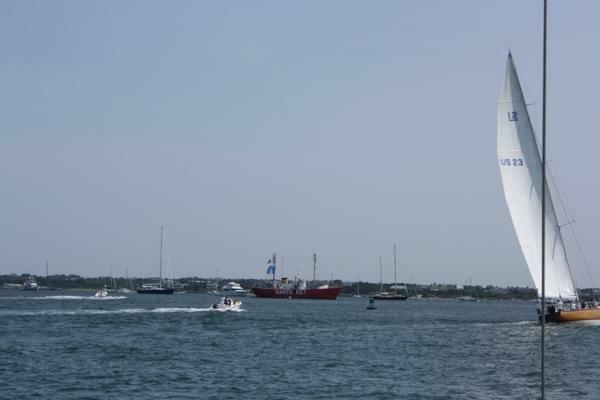 While fine tuning our Nantucket agenda this evening, I learned that it is Race Week and the regattas we sailed through could have been any or a combination of the Sail Nantucket Regatta, IOD Celebrity Invitational Regatta, and 12 Metre Regatta. 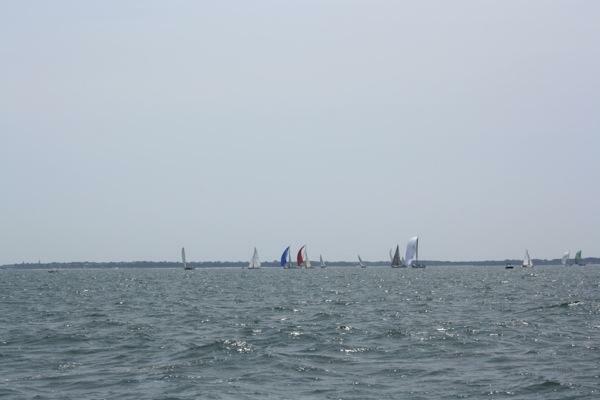 These races were all scheduled about the time we arrived and the boats we encountered were mix-matched. This boat wasn’t racing it was just very interesting. Nantucket Harbor is a ZOO! Navigating into the harbor was not tricky, but the harbor was packed with boats at moorings, anchors, and one-designs and dinghies whizzing through it all. We scouted the harbor for an anchorage. Active Captain had shared that it costs $70/night for a mooring and we were not about to spend that! There is also a launch service…great…for $5/person…bummer! Anchoring proved difficult due to conflicting wind and tides. Also, we had to mind the depths on the fringe of the mooring field because they quickly dropped to 2 feet. After numerous attempts we finally found a spot – thank goodness because Brian’s arms were nearly turned to rubber having hauled the chain about 10x’s in a row! Naturally, our newest anchorage is as far from town as we can possibly be. I suppose the kayaks will be our mode of transportation for this visit. Nice Catch! How did it taste? Brian, that’s a beautiful catch. Isn’t that enough for a couple of days for the two of you? Thanks! It was really exciting to catch a good size fish. After I filleted the fish it was plenty for both of us for one meal.